2019 - 2020 Academic Wall Chart with easy-view linear layout that measures 70 x 43 cm and runs August 2019 to July 2020. 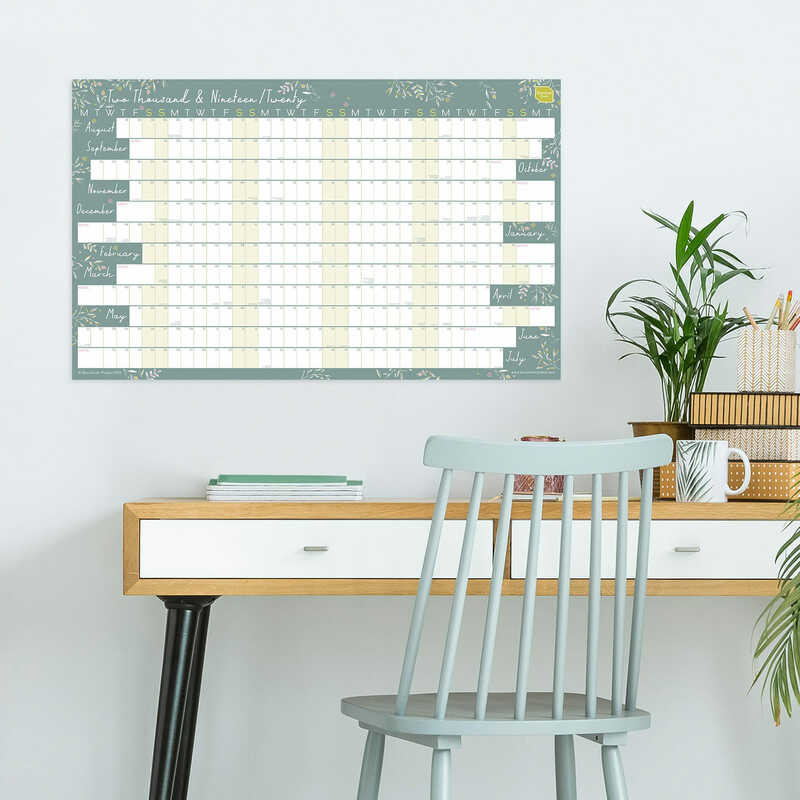 Great for the office or home, it features a pretty background pattern and displays the months in a linear format running across the chart. A choice of finishes available - laminated or non-laminated - to suit your planning style. 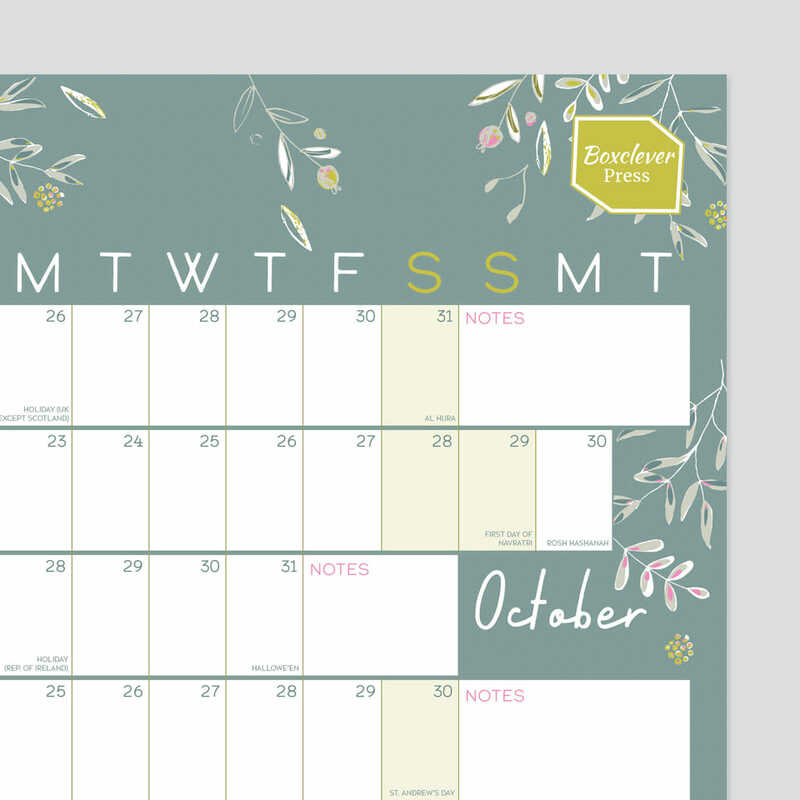 See each month in a linear format running from left-to-right with this 2019 - 2020 Linear Academic Wall Planner. Featuring a pretty design, it is perfect for use in a home office, kitchen, workplace, at university or in school. 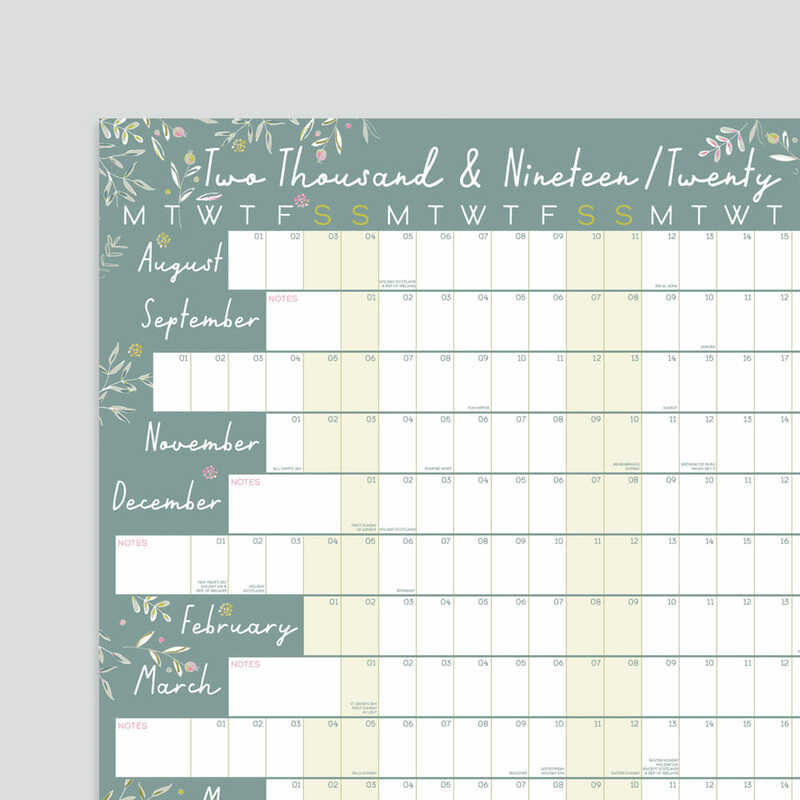 Great for anyone who wants to see everything in large format and popular with people planning for a big event such as a wedding or exams. 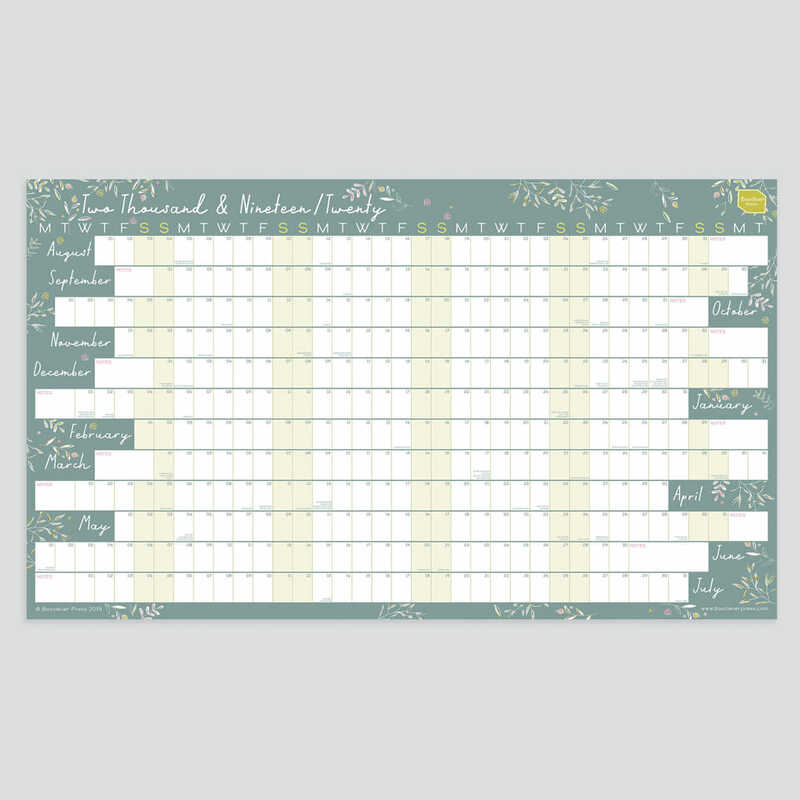 Available in a laminated or non-laminated finish so you can plan in the way that suits you.